Scroll down for links to interviews, features, and high-resolution cover images & author photo. A separate page contains links to reviews. The author welcomes direct inquiries. A conversation with Mitch Wertlieb of Vermont Public Radio about fiction, fly fishing, avalanches, the Grateful Dead, and A Field Guide to Murder & Fly Fishing. Click here for the podcast and transcript. A conversation with Peter Biello of New Hampshire Public Radio about nature, writing, Rome, and A Field Guide to Murder & Fly Fishing. Click here for the podcast, a transcript, and the author’s top five reading recommendations. On writing, voice, travel, the importance of place in fiction, pushing the bounds of objective reality, The Grateful Dead and the Eleusinian Mysteries, fly fishing as metaphor, and much more with Colorado novelist Mark Stevens on The Rocky Mountain Writer podcast. And a followup interview and book review on the author’s blog. A discussion with Olga Peters of the Green Mountain Mornings radio show (WKVT 100.3 FM) about a local landmark, the Round Schoolhouse, and some fascinating history regarding two nineteenth century New England immigrants who became early entries in the great American outlaw tradition. An on-line video interview with Anais Concepción of Literary Roadhouse about nature, Edith Wharton, Will Poole’s Island, a career combining writing and travel, National Geographic, Cuba, my goals of as a teacher of writing, the need to break writing “rules,” new writing projects, history as a foreign country, escapism, and more. A discussion with Peter Biello of Vermont Public Radio about early America, the genesis of Will Poole’s Island, and new perspectives on the Thanksgiving myth. Click here for the podcast and transcript. An in-depth interview with Art Hutchinson at Fiction Writers Review on extreme and unusual settings, the virtues of noticing, and how fiction can push the boundaries of conscious perception. A deep dive with James Scott of the TK Podcast into travel, the writing life, National Geographic, short fiction, the Cuba Writers Program, drug writing, Denis Johnson, Cormac McCarthy’s The Road, Paul Bowles, and much, much more. A brief conversation and “leader spotlight” with Patrick Noyes of Putney Student Travel about why fiction has to be dark, and how A Field Guide to Murder & Fly Fishing was shaped by the author’s years as a leader of Putney’s student travel programs. A lively discussion about historical fiction, the research behind Will Poole’s Island, the differences between writing novels and short fiction, and more. Read the complete interview with the Fiction Writer’s Review. An interview with National Geographic Student Expeditions about Cuba, writing, reading, and travel. An interview about Will Poole’s Island on Literary New England Radio Show. Click here for the podcast. Note: Tim’s portion of the interview begins at minute 38.50. On writing, research, and what makes great historical fiction. “Inside Historical Fiction,” an interview with M.K. Tod. A very short interview about what it was like to work with Roald Dahl’s former editor, literary influences, writing habits, and who should play the lead in the (hypothetical) movie version of Will Poole’s Island. “From his Books to his Business, Vermont Writer Will Take You on a Journey.” The Keene Sentinel (NH). “Historic Nantucket Reimagined,” Kimberly Nolan, The Inquirer and Mirror (Nantucket, MA). “Tim Weed’s ‘Will Poole’s Island’ full of mystery and history,” Cicely M. Eastman, Brattleboro Reformer (VT). “Local Adventurer Pens Young Adult Novel,” Madeleine Bonneau, Brattleboro Reformer (VT). “Historical Fiction is More Important than Ever: 10 Writers Weigh In.” Literary Hub. “Persistence Pays Off for Newly Published Author,” NowU (Gannett). “Tim Weed and The Ecstasy of Influence.” TSP, the official blog of The Story Prize. A Visit to Will Poole’s Island.” In Reference to Murder. “Tim Weed Talks About How History Formed the Characters in His Novel.” The Founding Fields. 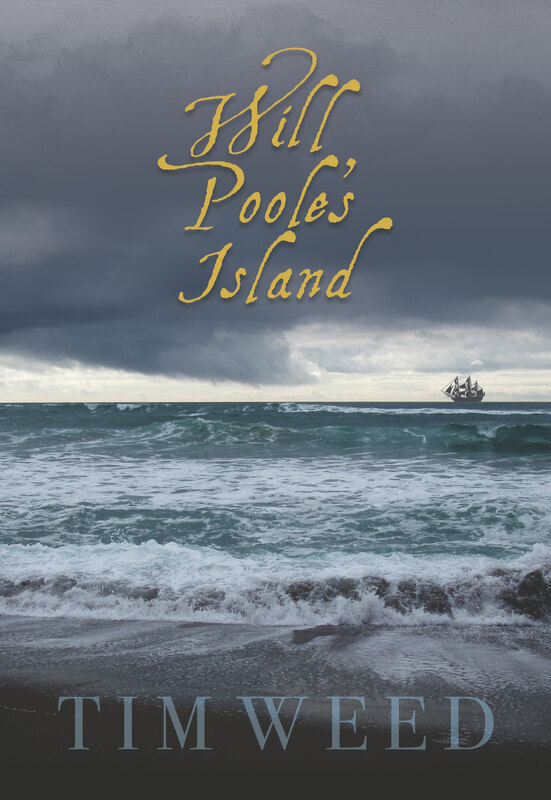 “Guest Post: Will Poole’s Island by Tim Weed.” Brook Cottage Books.